20 MAY 2014.  SYDNEY & MADRID.- Fon, the global WiFi network, and Telstra, the leading Australian telco, have announced a partnership to build the largest WiFi network in Australia. Fon will be key to Telstra’s 70 million euros WiFi strategy, which will increase connectivity in the places Australians live, work and visit including cafes, shops, sports grounds and transport hubs. From early 2015, Telstra home broadband customers with a compatible modem will be able to join the WiFi community. In exchange for securely sharing a portion of their bandwidth with other Telstra WiFi™ customers, they will be able to use their home broadband allowance via the Telstra WiFi hotspot network, as well as gain access to more than 12 million Fon hotspots around the world. Fon´s technology makes it possible to broadcast two, dedicated WiFi signals from a broadband internet source. One signal is encrypted and private. The other signal is public but only accessible via password to registered Telstra WiFi members and Fon customers. Currently with more than 12 million hotspots, Fon is the world’s largest WiFi network. In countries such as the UK, France, Germany, Japan and Brazil, customers already share their broadband connection and receive access to millions hotspots in the Fon network. “Australians already have access to one of the world’s leading 4G networks offering fast, unparalleled coverage on the move. Telstra’s new WiFi network will broaden the choice of connection giving people a convenient way to get online using their portable devices when spending time at a hotspot. It will offer our customers the unique option to seamlessly use their home broadband allowance inside and outside the home,” said Telstra CEO, David Thodey. “We’re really happy to bring the Fon experience to Australia. Working with Telstra is a huge achievement for us. Not only because it means that we are now expanding our network to a new continent, but also because Telstra has been a global leader in LTE deployment. It emphasizes our view, that LTE and WiFi are complementary technologies, both needed to address future growth of mobile data demand.“ said Alex Puregger, Fon COO. Telstra is Australia’s leading telecommunications and information services company, offering a full range of communications services in all telecommunications markets. We believe the more connected people are, the more opportunities they have. That’s why we help create a brilliant connected future for everyone, everyday. ™ is a trade mark of Telstra Corporation Limited.